As it ages, the earth doesn’t get any bigger. Rebuilding on land will become an increasing trend as the world urbanises. So, what do you do if you have a piece of land that you want to build something new upon? First you have to pull the old structure down, which is where Delta Group come into the picture. Nothing stands forever. When you want an old site deconstructed, decommissioned or demolished where do you go? You make your way to demolition companies, like Delta Group. With over 600 employees nation-wide and an impressively diverse work portfolio – including contracts for some of Australia’s largest mine and energy projects – Delta Group is a unique Aussie success story, which last year celebrated its 30th anniversary. 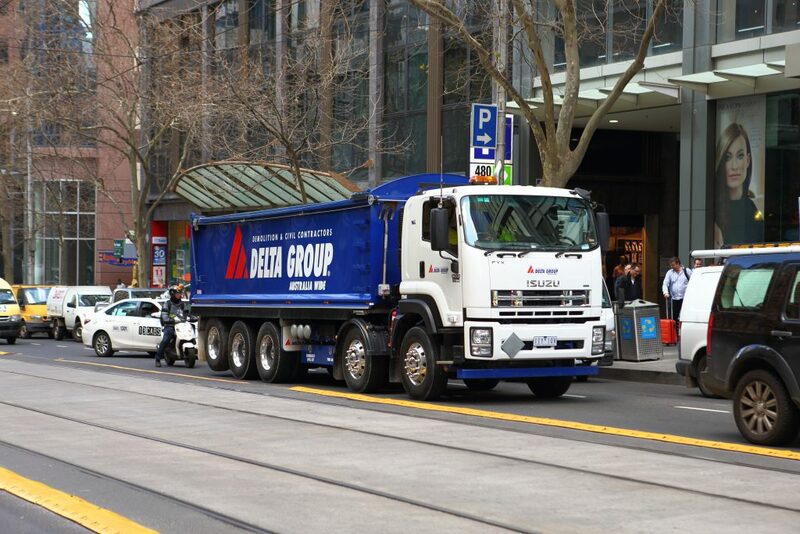 Dominic Santullo is the general manager of Delta Group’s recycling and transport logistics, getting the final say over which new trucks the organisation purchases. “We’re primarily a demolition and civil earthworks company,” Dominic said. 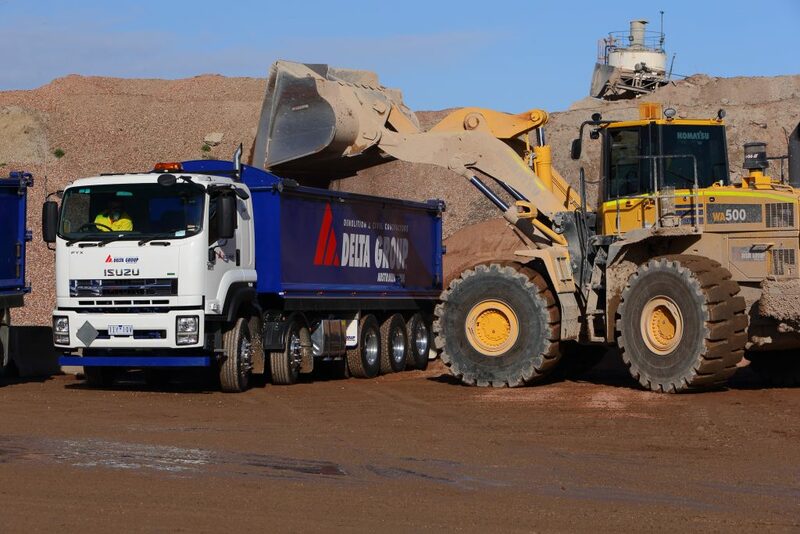 “But we also offer concrete and timber recycling, asset recovery, waste transfer, heavy equipment hire, bio-remediation and rehabilitation, decommission, site closure consultancy, and contract crushing and quarry operations. Such diverse work calls for a diverse range of trucks. 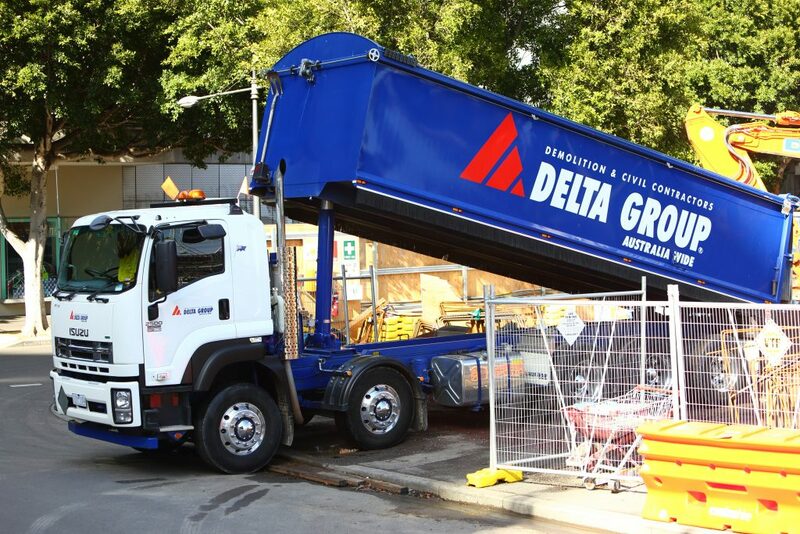 “Delta has 12 Isuzu trucks, which are mostly Tippers that work in demolition, earthworks and quarries,” Dominic said. “We’ve also recently bought an Isuzu FYX 2500 10×4 model with a hook lift. 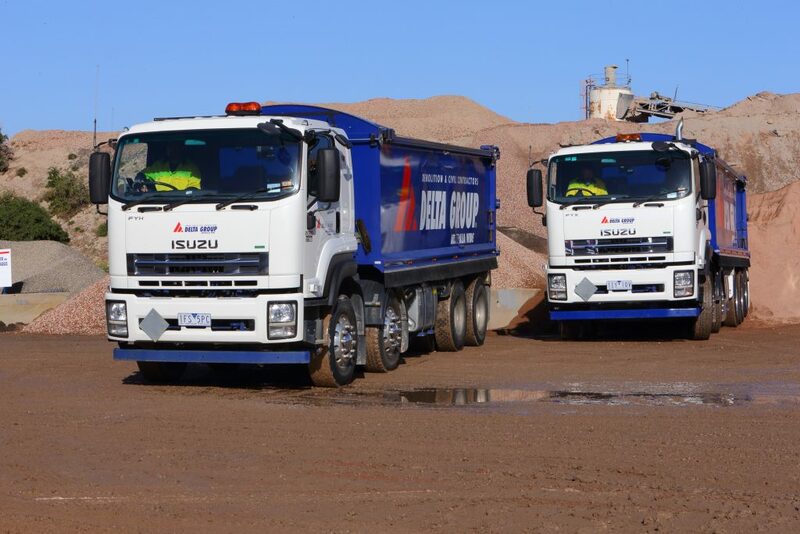 The Isuzu FYX 2500 10×4 has a GVM rated at 35,000 kg, a GCM of 42,500 kg, 257 kW @ 2,000 rpm and an impressive 1,422 Nm @ 1,400 rpm – making it an ideal choice for any application requiring a resilient truck that excels in tough conditions. “The turning circle on the FYX is very good,” Dominic said. “Demolition and earthwork sites require a lot of power. They work in quarries, landfills and green fill sites where there aren’t any roads, so we require tough trucks. For the transmission, the FYX 2500 has a smooth-shifting Allison 4430 series 6-speed automatic with 5th generation electronic controls and adaptive shift. It also has an Isri 6860 air-suspension seat with pneumatic lumbar support, which provides unparalleled comfort for the driver. “Delta’s trying to move towards automatics, which takes the strain off the driver and the truck itself,” Dominic said. “The FYX also boasts features like cruise control and a Digital Audio Visual Equipment (DAVE) unit with a 6.2 inch LCD touchscreen, digital radio, Bluetooth with voice recognition and 4GB of internal storage for music files. “We’re doing different types of work all the time,” Dominic said. “But on average our trucks do between 10,000 and 15,000 km a month. The FYX’s impressive array of safety features includes an ECE-R29 compliant cab, Anti-lock Braking (ABS), a driver airbag with seatbelt pretensioner and an ECE-R93 compliant Front Underun Protection Device (FUPD). Delta’s focus on its employees and continual, sustainable growth sets it apart in the contracting industry. As with any national company however, Delta’s brand recognition is vital. “We stand out because of our brand,” Dominic said proudly. 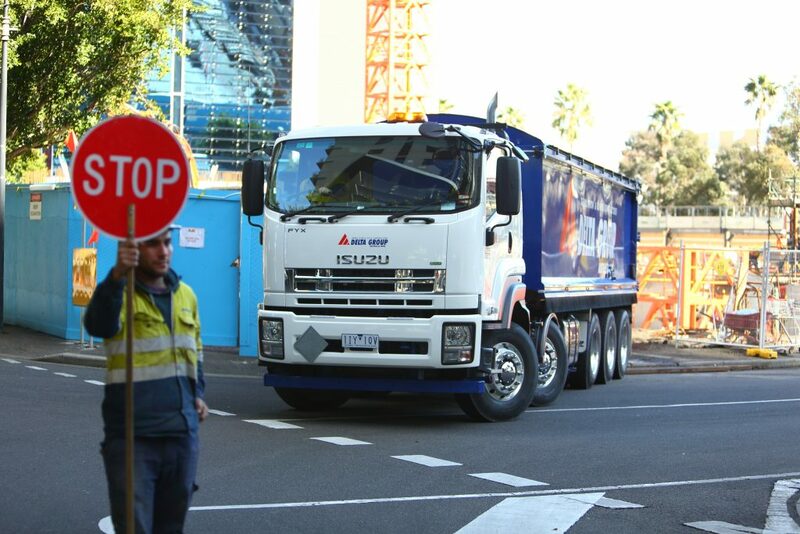 “We’re recognised by our logo, the bright orange Hitachi machines and our blue, white and red trucks. “The way the Isuzus are set up is a great look for our business.